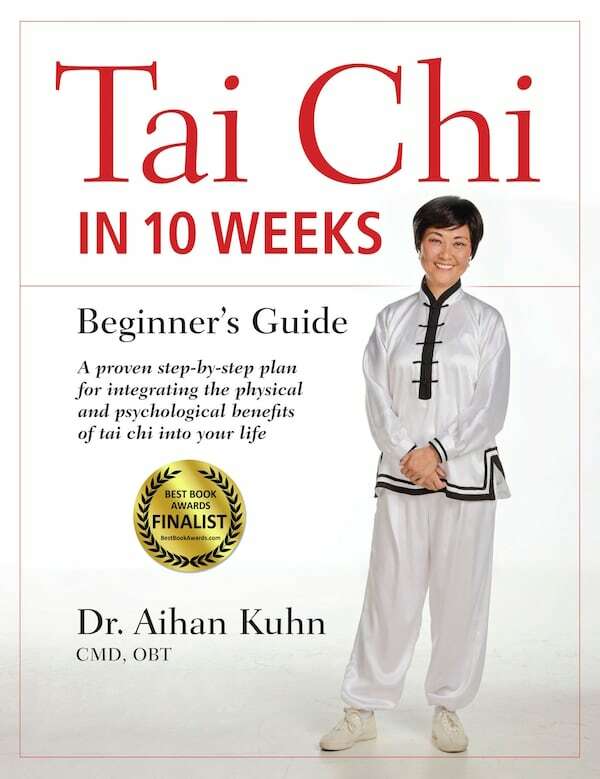 Dr. Aihan Kuhn is a master instructor of tai chi and qigong. In this book she shares the lessons she’s learned in a lifetime of studying and teaching. She is warm and encouraging, making readers of all ages and backgrounds feel welcome. “Tai chi is a life journey,” Dr. Kuhn writes. "Part of my success is from my patients and students that understand that prevention requires participation. They practice tai chi and qigong on a regular basis, which is key to their healing. That brings me to the title of this book. Can you really learn tai chi in 10 weeks? You cannot become a master, of course, but you can learn the fundamentals of this art. You can build the foundation for this life-changing journey. Tai Chi in 10 Weeks is your road map."